A spontaneous pneumothorax is a lung collapse that was not caused by any obvious injury or trauma. If you have BHD, a collapsed lung can happen at any time, or may be brought on by sudden changes in air pressure, such as those experienced during scuba diving or while flying in aeroplanes. It is thought that collapsed lungs are caused by lung cysts bursting and releasing air into the gap between the lung and the chest wall (the pleural cavity). When the air pressure is higher outside the lung than inside the lung, it will collapse. Whether the whole lung, or just part collapses will depend on how much air is in the pleural space, and where it is. Roughly 1 in 4 people with BHD have at least one pneumothorax in their life. Most patients who have had a pneumothorax will have more than one episode. These are called recurring pneumothoraces, and a few patients have had more than ten different episodes. Both lungs are equally likely to be affected, and doctors have reported cases where both lungs have collapsed at the same time. Most people experience their first pneumothorax between the ages of 20 and 30, but the age range of first pneumothorax varies. There have been several reported cases of children with BHD having a collapsed lung, the youngest at the age of 7; parents whose children may have inherited BHD should be aware of this risk. On the other hand, some patients didn’t have their first pneumothorax until they were in their 70s, and three quarters of patients never have one at all. Pneumothoraces are not normally life-threatening as long as you get treatment, and sometimes a collapsed lung can re-inflate on its own if the collapse is very small. If you have BHD, you should make sure you know the signs of a collapsed lung so you know when you need to get treatment. 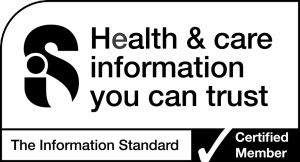 If you have had a collapsed lung before may want to carry a Medicard listing any treatment you have already had, as this may affect any future treatment. 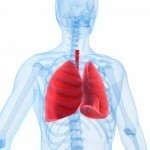 For information on various treatments, see the lung treatment section.